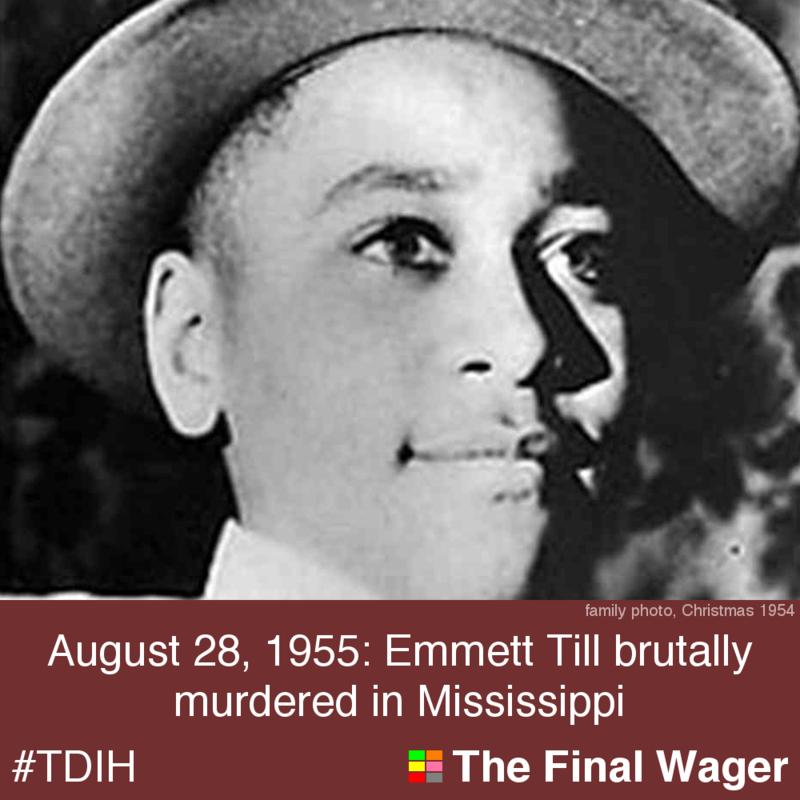 On this day in 1955, Emmett Till, a 14-year-old black boy, was brutally murdered in Mississippi. Till, who lived in Chicago, was visiting relatives in Mississippi when he was abducted by two men: Roy Bryant and J.W. Milam. The pair beat him, gouged out one of his eyes, shot him, and threw him in the Tallahatchie River with a weight attached. Till’s alleged ‘crime’: flirting with Bryant’s wife, a shopkeeper. Bryant and Milam were acquitted of murder charges; they later bragged of their deed to Look magazine, taking full advantage of their protection against double jeopardy. Image: family photo, Christmas 1954.